Casa Ra is a very desirable holiday villa built on two levels and situated on the development of Varandas do Lago, close to the prestigious Quinta do Lago and Vale do Lobo, famous for its tennis academy and superb golf courses. There is also horse riding stables within easy reach, and restaurants to suit all tastes and budgets, within a few minutes drive. Extremely spacious, well furnished and equipped for 8 people, the villa will appeal to those that enjoy all the benefits of modern living. Outside you will find a hedged garden and delightful pool terrace with natural shade and a pool side barbecue perfect for those outdoor summer meals we all love so much. 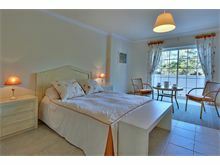 Approximately 2.5 kms from the shops and 1.5 km from the beach. 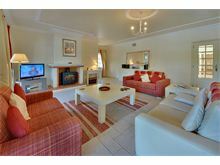 Entrance hall, guest cloakroom, sitting/dining room with TV and DVD. Doors lead out to a covered terrace overlooking the pool. Modern kitchen with dishwasher and microwave. 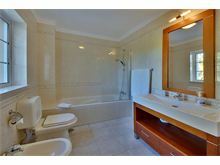 1 double bedroom with shower room en suite. Steps up to 1 double bedroom with doors to a balcony and shower room en suite, 1 double bedroom, also with doors to a balcony, and bathroom en suite, 1 twin bedroom with shower room en suite. Maid service 3 times per week. Air conditioning, pool heating and WiFi are available at extra cost, if required. This is our 4th holiday with Affinity, and as usual they didn’t disappoint. It was our second time staying in Casa Ra as we love the villa and it’s location. As a party of 7 this year it was just superb. 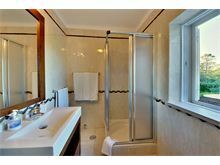 The villa was excellent, very large and exceptionally clean. It had everything we needed and more for a very pleasant stay, the beds were extremely comfortable and we all enjoyed the pool. Would totally recommend this villa, and hope to return. 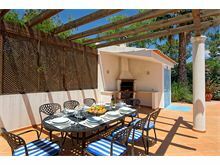 We have had a lovely stay at Casa Ra, everything about the Villa was just great, excellent facilities and just the right spot between Vale do Lobo and Quinta do Lago, we will definitely stay here again. My family and I have just returned from a weeks stay in the fantastic Villa Casa Ra. The villa was superb, spacious, yet cosy. Fully equipped with everything in the event of a rainy day which sadly we experienced. Kitchen facilities were brilliant, the pool was adequate but the location was spot on. Situated within what seemed to be a residential area with large villas all around we felt very safe. Highly recommended and we will be returning again! 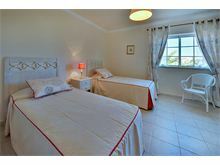 Our third booking to Portugal via Affinity Villas and our second stay at Casa Ra. Our week long stay at Casa Ra was as the weather for the entire week in early April, excellent (a sunny 22 degrees all week) The villa was clean, well equipped and exactly as described. Affinity went the extra mile by turning on the pool heating a day before we arrived meaning we were in pool on arrival at 6.oopm, big bonus with the children. As always found Affinity staff and booking process to be professional and welcoming. Affinity have become our first choice agency for yearly holiday to Portugal. See you next year! A beautiful villa in a very good location. Excellent beaches and restaurants nearby. 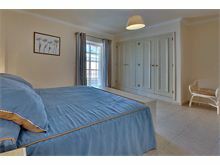 We always enjoy our experience of Affinity Villas. 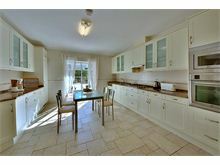 Lovely spacious villa, adequately equipped for a family holiday. Short drive to beach. Lovely villa. 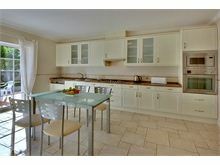 Excellent kitchen and open plan living area. Beautiful pool. 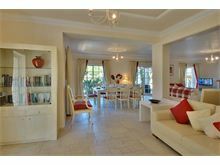 Fantastic location between Quinta and Vale do Lobo. Real luxury! Plenty of Facilities in the villa and loads to do on rainy days. Good value out of season. A real find. Myself, my wife and our 3 year old son stayed at Casa Ra for a week and were extremely happy with the villa. It was clean, spacious and had every facility we could need for our stay. The villa itself is situated on a modern development which felt safe and friendly and the pool area was great for our son who learned to swim while we were there. I would recommend hiring a car as the development is a short distance from the local restaurants and shops which I wouldn't have wanted to walk to in 30 plus degrees! Overall a fantastic break & I would have no hesitation rebooking with Affinity Villas, our first time but definitely not the last! 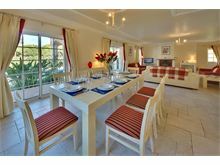 Our second stay at Casa Ra in Verandas Do Lago, situated right between Quinta and Vale Do Lobo. 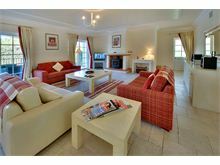 Villa is spacious and luxurious, ample size for the 7 members of my family that travelled. 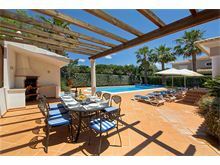 Pool area a great size and very quiet on this top quality villa estate. Location is excellent, well known to us now as this is our 4th visit to this superb area of the Algarve. A good number of excellent fish restaurants locally, with us finding more at each visit. 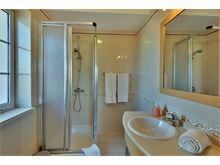 Maid service was very good and villa very clean with excellent facilities. Only slight niggle being the air conditioning unit being a little noisy and should be quieter. Excellent holiday yet again with Affinity Villas who are super efficient and helpful, this being the 3rd time we've used them. Overall very good value for money and would be an ideal holiday for four couples. The Villa was lovely and we had a great time and wish we had booked for longer. Excellent holiday with 2 young children , they loved the pool and the grass area around the villa . 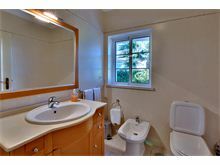 Very well equipped and very spacious! 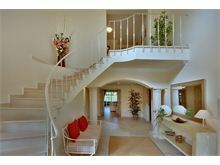 Stunning villa, well equipped and in a good location. The pool area was great for our grandchildren. Lots of nice areas close by but none in walking distance you definitely need a car. 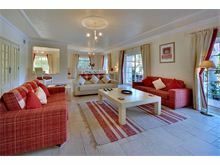 Already booked a villa for next year with Affinity Villas, great company. We had a lovely stay at Casa Ra. It is in a perfect location for everything especially beaches. 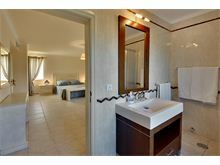 Can’t wait to book again with Affinity villas next year.